Resin golf Nearest the Pin awards from Awards Trophies Supplier .co.uk. 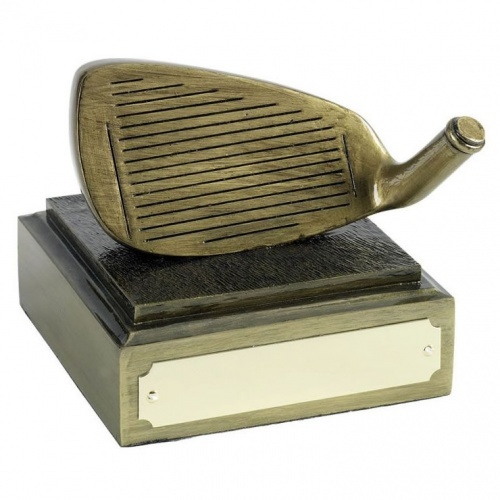 Finely detailed resin golf iron in antique gold finish, on integral base with engraving plaque. An inexpensive golf clubhouse award.